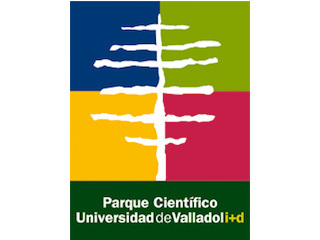 Scientific Park of the UVa is a Foundation to promote the innovation, the knowledge transfer and the business venture between RTD groups of the University of Valladolid and the socio-economic tissue of the environment. The Scientific Park of UVa houses technological infrastructures giving services to the researchers and firms of the environment. In regard to Europeana Space, furthermore technical resources for managing big data and rendering applications, it includes the MoBiVAP Group (Modelling, Biomechanics and Advanced Visualization of Cultural Heritage, http://www.mobivap.eu/ ) which is associated with the Lab. of Architectural Photogrammetry (http://157.88.193.21/~lfa-davap/ ). We have a large infrastructure for Geomatics and Surveying which includes Photogrammetic equipment, four 3D laser scans and several drones for information capture. We develop customized software solutions with applications to Architecture, Civil Engineering, Sculpture, and Archaeology, between others. Development of image- and range-based models and ICT tools for CH surveying. Integration of Documentation, Information and Management Systems (DIMaS) for cultural heritage tools, inclduing Big Data management in the Web 3.0. Applications of Computer Vision tools to 3D Reconstruction and semi-automatic recognition of cultural goods on digital files (images, video, 3D models). Virtual Recovery of forgotten and lost architectures. Cultural Heritage Learning and Education Programs.